by Archer, Christon I., Beezley, William H., MacLachlan, Colin M.
Archer, Christon I., Beezley, William H., MacLachlan, Colin M.
This volume of readings examines the revolutions, civil wars, guerrilla struggles, insurgencies, counter-insurgencies, and interventions of this period. 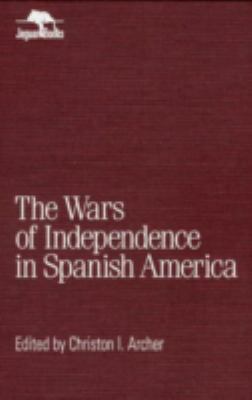 Offering a solid perspective on the Independence period, The Wars of Independence is an excellent text for Latin American survey courses and courses focusing on the colonial era.Archer, Christon I. is the author of 'Wars of Independence in Spanish America', published 2000 under ISBN 9780842024693 and ISBN 0842024697. Loading marketplace prices 1005 copies from $1.41 How does the rental process work?